I’ll admit I’m a fairly recent convert to the world of The Artwoods. I was aware of their work on a casual basis, but for some reason, I never really delved into the full repertoire. Not sure really why it took so long for me to get into them, but I guess there were so many other bands to check out that one or two are going to slip under the radar. They also struck me as similar to The Action in that they were highly thought of on the live circuit, but struggled to shift any units, sales wise. Appearances were booked on ‘Ready Steady Go’, and they released six singles in total, plus the album ‘Art Gallery (geddit? Ed.) on Decca, but they only charted with ‘I Take What I Want’, which peaked at 28, in May 1966 with the rest not troubling the scorer. Significant hits just eluded them. Fronted by Arthur ‘Art ‘ Wood’ the five-piece were instead a major live favourite of the Mod fraternity, playing many many times at The 100 Club in London and Eel Pie Island. Their material was classic R’n’B with the organ sound of Jon Lord front and centre. Lord, of course, would go on to be part of the highly successful Deep Purple. Art himself was born in 1937 and was the older brother of Ronnie Wood and he was a big influence of the future Faces and Rolling Stone member. Artistic as a child, Art went on to study at the Ealing School of Art. He soon discovered a love of music there too and skiffle got a hold of him early. After his national service, Art returned to London and sang with Blues Incorporated alongside Alexis Korner and Cyril Davies so was very much at the forefront of the nascent British R’n’B boom. 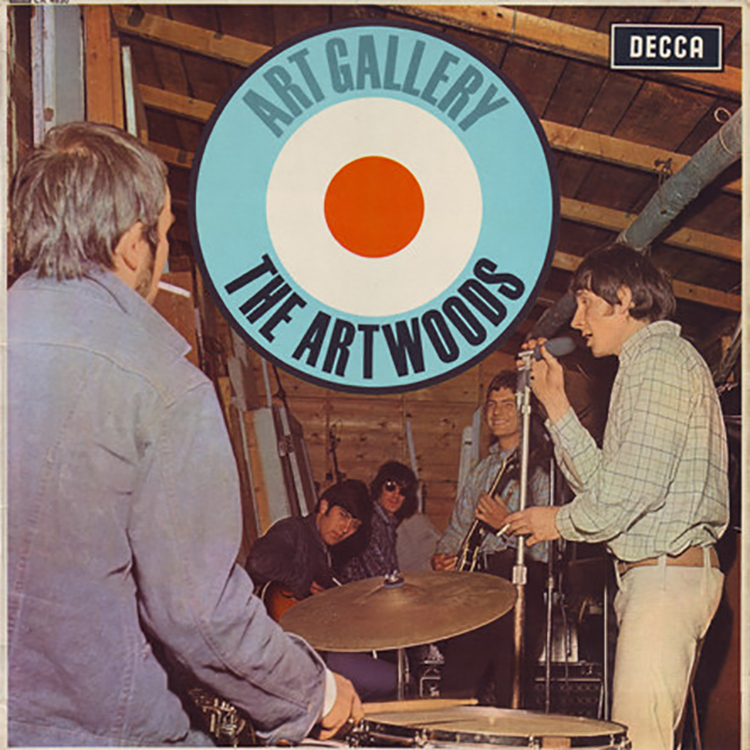 The Artwoods formed in 1964, with Art and Jon Lord joined by bass player Malcolm Pool, drummer Keef Hartley and Derek Griffiths on guitar. As mentioned earlier they were a hardworking and very popular live draw in the UK, but in time they also made a name for themselves in Europe, and France in particular. Sadly it was all over by 1967 for the Artwoods. A name change saw them become St Valentines Day Massacre on the Fontana label, cashing on the gangster chic’ of Bonnie and Clyde film, but it all flopped badly. Art was joined by his brother Ronnie as well as the rest of what would become The Faces to record a tune or two under the name of Quiet Melon, but after a few gigs, he was left behind as The Faces began to take shape. One notable side note is that the bands’ drummer Keef in his Keef Hartley Band set up, went on to play at the legendary Woodstock Festival in 1969. Art eventually joined Ted in setting up West Four, a graphic design business, though he occasionally still performed, but for fun only. Arthur Wood died in 2006.